Mulatu Astatke already has a legendary status as the father of Ethio Jazz. But he hasn't been content to rest on his laurels. Instead he's forged ahead. This album proves very different from his work with the Heliocentrics (some of whom do feature here), or with the Either/Orchestra -- it's an album of what is essentially a meandering, laid-back groove that looks at music from two angles -- the Western and the Ethiopian. The former gets to stretch out on cuts like the opener, the reflective "Radcliffe," and "The Way to Nice." Ethiopia raises its head on "I Faram Gami I Faram," which some luscious Addis Ababa singing, a reworking of the style that made Astatke's name, and actually of one of his old compositions. But it can also be heard in the flute on "Ethio Blues," or the ways Astatke's vibraphone resembles a balafon in "Green Africa." "Assosa" is a true trip into rural Ethiopia, based on traditional music, while "Mulatu's Mood" crosses the continent to put another of the man's older pieces in a highlife framework and highlight the connections between styles. What's interesting is how much of a backseat Astatke is happy to take, rarely venturing out front for a solo (and even then they're brief, more like punctuations), but always powering things along as part of the rhythm section. The exception is on "Boogaloo," at heart Western enough until Astatke takes it to Ethiopia over the groove, and then an Ethiopian fiddle holds it in strange, beautiful territory. 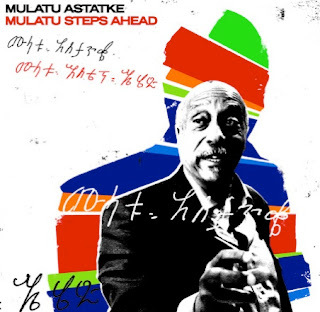 A beautiful album that adds to Astatke's stature.